The EBU studies and analyses emerging immersive video systems, including Augmented Reality (AR). Of special interest are implications for broadcasters' workflows and technology roadmaps. This work is part of the EBU Strategic Programme on Video Systems. EBU Members can access the following five repositories which contain Proof of Concept (PoC) AR applications. These apps were developped by the EBU Techology & Innovation team to illustrate current technical capabilities. 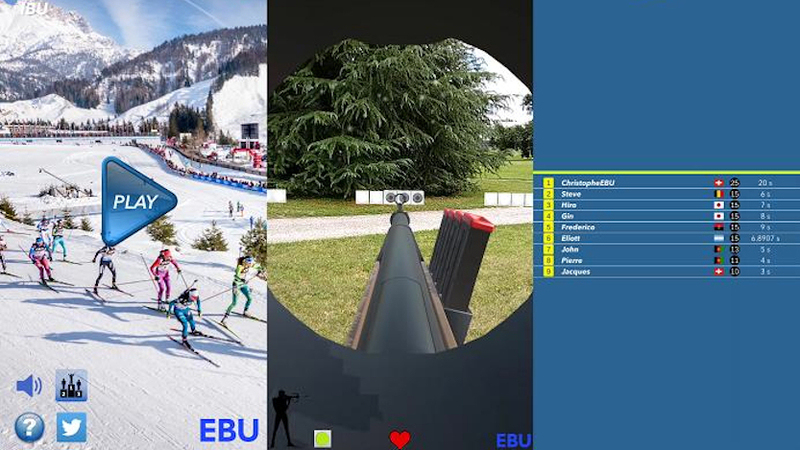 Biathlon (Unity engine + Vuforia): a simple game, where the user has to shoot targets, not animals!